The launch of the Bentley Continental Supersports in January signaled the beginning of the end of the current generation Bentley coupe, and at this year’s Geneva motor show the luxury brand’s latest concept car — the EXP 12 Speed 6e — is hinting at what might be replacing it in terms of style and propulsion and garnering feedback as to whether it’s on the right track with its well-heled clients’ aesthetic tastes and sentiments regarding hybrid and plug-in electric cars. But don’t be mistaken for thinking that the drop-top concept car built for Geneva is simply a focus group with a battery in the middle and a wheel at each corner. “[It] is a concept to show that Bentley is defining electric motoring in the luxury sector, with the appropriate technology, high quality materials and refinement levels you’d expect from a true Bentley. This concept enables us to engage with luxury customers and gather feedback on our approach,” said Bentley CEO Wolfgang Dürheimer. 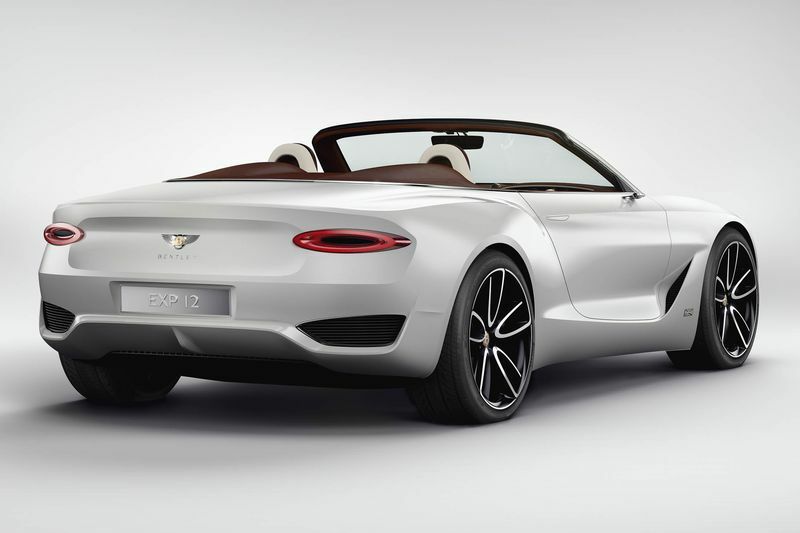 The new car is very similar externally to the hard-top EXP 10 Speed 6 concept that wowed the Geneva crowds in 2015. And that’s a good thing. It has the same sharp, clinical proportions, front grille treatment and three-dimensional front and rear lights. There is little if any overhang beyond either the front or rear wheels and the car’s aerodynamics functions are integrated into the body so as not to rumple even a single exterior line. Inside, the steering wheel’s multimedia controls are made from cut glass, and the full center console has been formed from a single piece of glass that houses the OLED infotainment screen. However, because these high-tech 21st century elements are wrapped in quilted leather and wood, it still feels very much like a Bentley. As for powertrain, the company says that for the car to be considered a grand tourer in the true Bentley mold then it would have to be able to travel from London to Paris or Milan on a single charge and that when the batteries were depleted would be able to charge up as quickly and as effortlessly as possible. “Bentley is committed to offering an electric model in its future portfolio and we are interested in receiving feedback on this concept,” said Dürheimer. An electric powertrain capable of cross-continental travel may still be some years away but there is a good possibility that a production car looking very much like this concept will be a reality within the next two-to-three years.